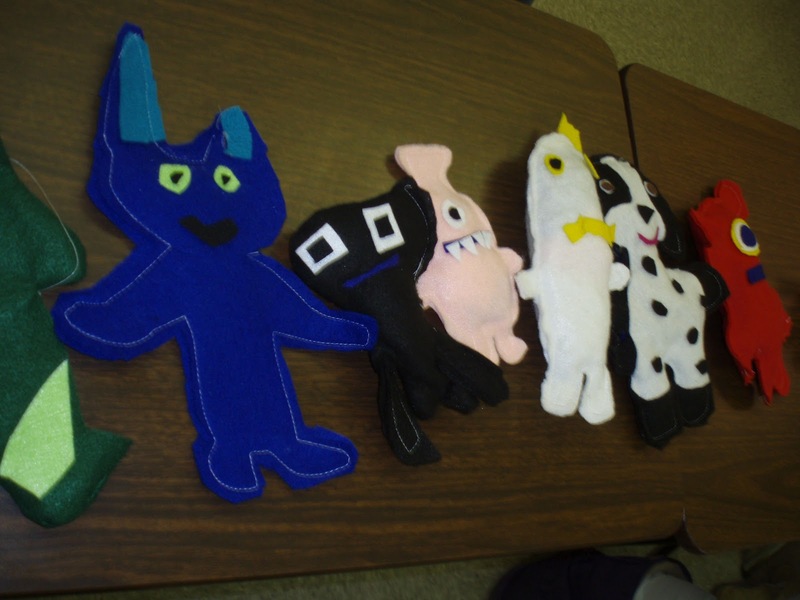 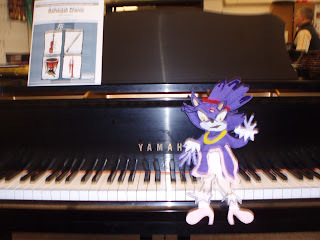 Students designed and built felt characters to develop and write about. 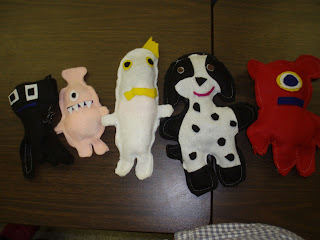 A parent volunteer brought in a sewing machine and gave some basic sewing lessons too! My mother hand-made a knitted character for each of my 4th grade students. We called the line of dolls Lil' Scruffies and each Scruffie owner developed a personality and history for them. 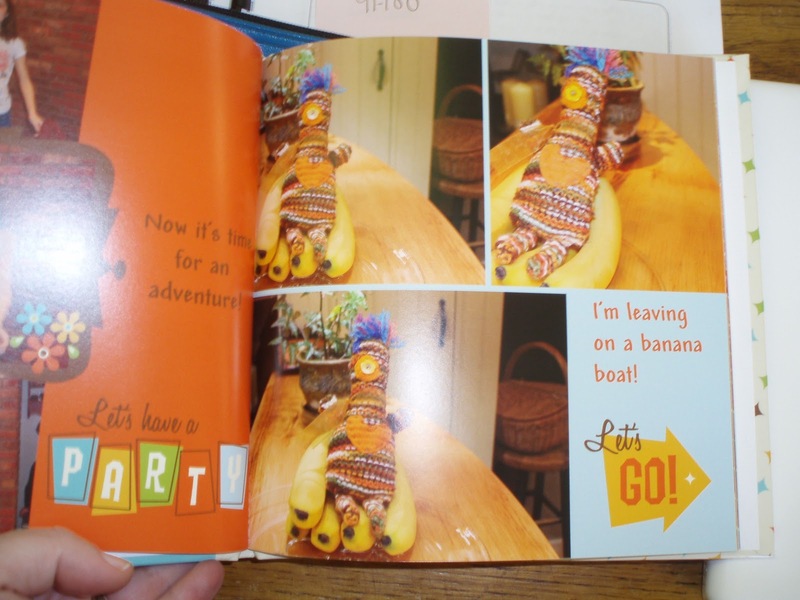 Gillian was so inspired by her character she made this amazing book about the Adventures of Walnut with her mom at home. 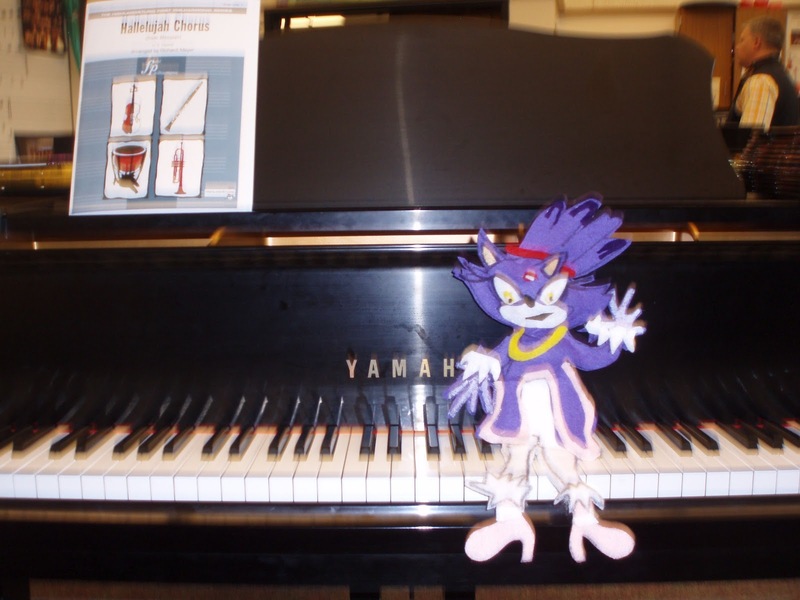 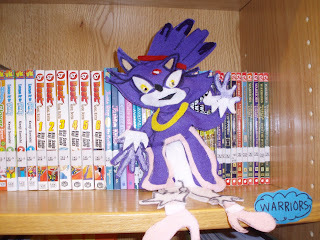 ...and he was checking out his favorite graphic novel collection, Warriors. 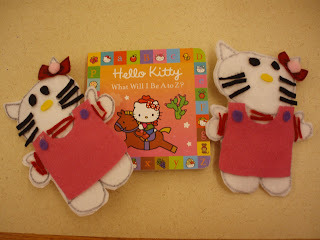 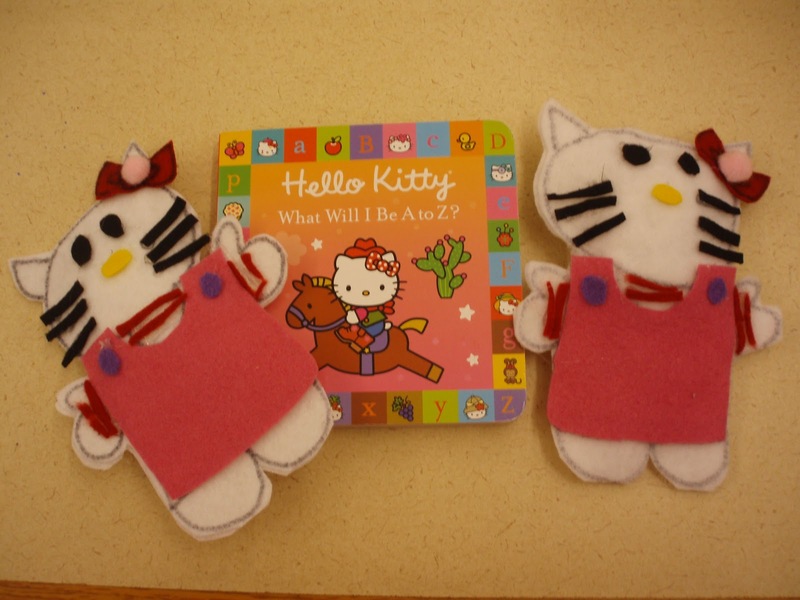 I made these Hello Kitty felt dolls to go with this ABC concept book. 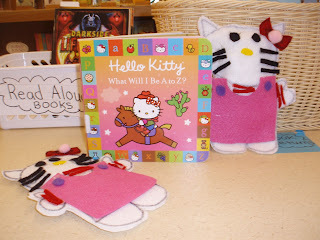 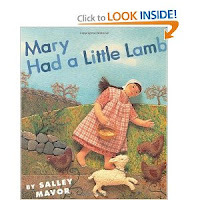 Kindergarten students enjoyed reading this book in pairs and using the Hello Kitties to talk, supporting their oral language development and alphabetic knowledge at the same time. 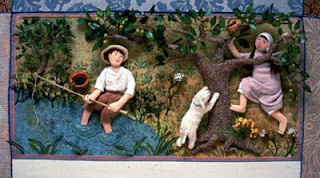 Fabric Art as the illustrator's medium of choice. Fabric Art in picture books.